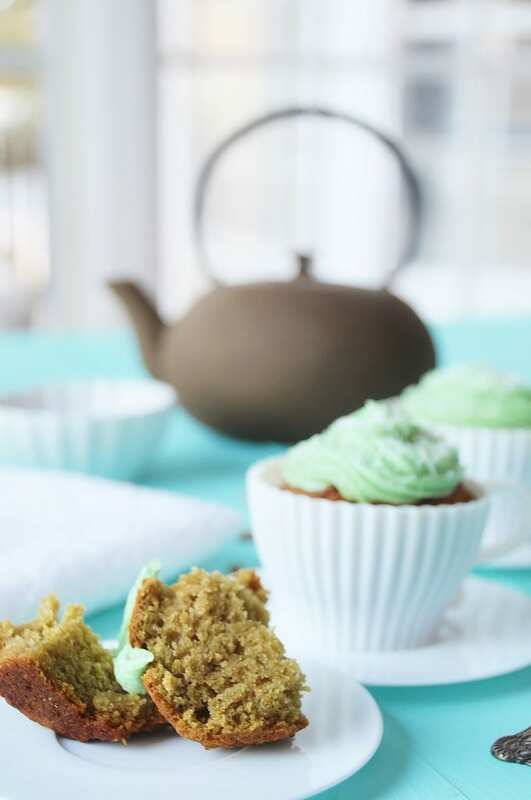 Take the power of matcha tea to another level with these vegan matcha green tea cupcakes. Matcha is loaded with antioxidants and other health benefits. 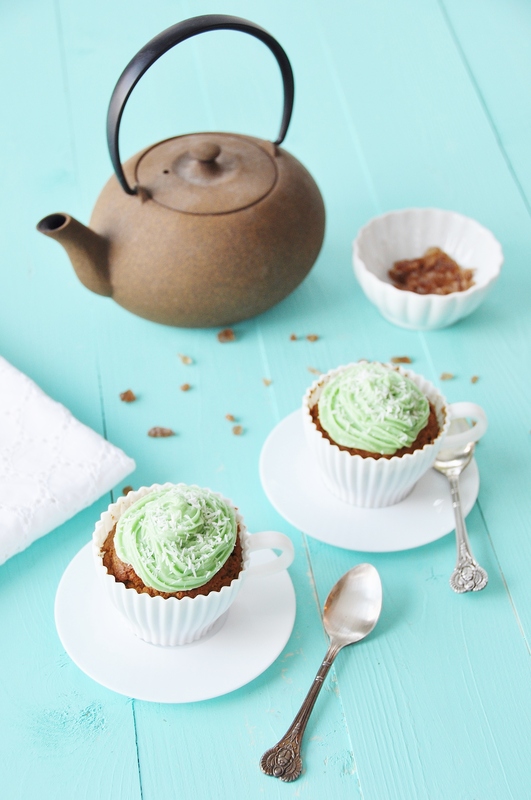 These are the perfect cupcakes to eat while you sip on a cup of tea. St. Patrick’s Day is just a few weeks away and my mind is on all things green; green grass, green leaves in the trees, fresh and crisp green salads, green beer, and a green Chicago River. The former things in this list are really in the forefront of my mind, because my world is white, gray, and bare at the moment. Hopefully – fingers crossed tight – by the time St. Patrick’s Day arrives, the snow will be gone, the grass will be turning green, crocus will be blooming, and the tulips and daffodils will be ready to pop. While I wait for this to happen, I drink green tea. Matcha to be exact. Lots of it. The other day, as I was sipping away on my third cup – watching it snow outside, again – I realized that I wanted a cupcake. That’s what snow and cold does to people, it makes us want to eat cupcakes, or cookies, or anything that’s baked and comforting. 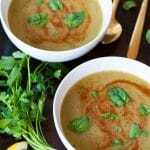 It’s time for sunshine and green landscapes, because we all need to stop with the heavy comfort food and start eating fresh green salads. Am I right? 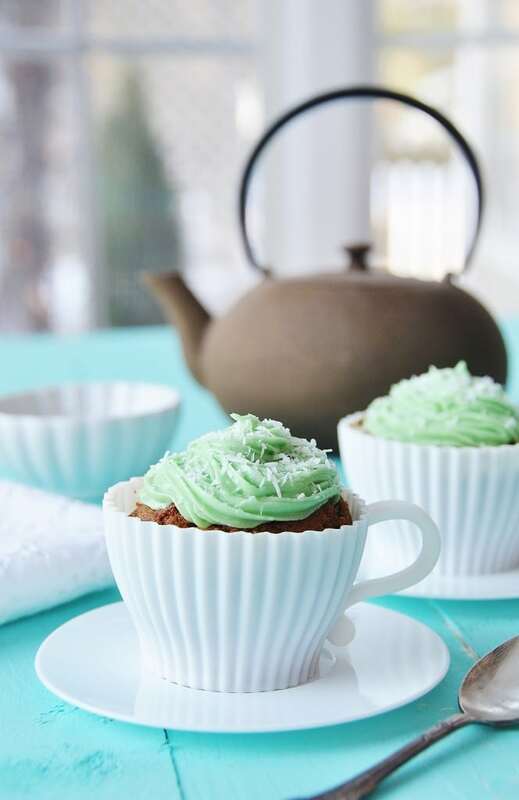 So as I was sipping on my matcha tea, and craving a cupcake, I looked into the murky greenness of my cup and I thought, why not make a matcha cupcake with green frosting for St. Patrick’s Day? The tea would make the cupcake somewhat healthy, and the color would be in the spirit of the holiday, and my craving would be happily satisfied. So that’s what I did, I made vegan matcha tea cupcakes. And they were delicious. The cupcakes baked up nice and moist, they are a little dense, but that’s how I like them. 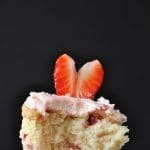 If you like a really light and fluffy cupcake – reminiscent of store bought box cakes – then you might think this is more like the texture of a muffin. Let me know what you think. Regardless of what you think about the texture, I’m confident that you’ll like the flavor. It’s not too sweet, and you can’t taste the tea, although you know it’s there by the slightly green color. 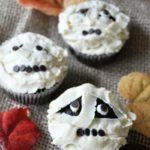 The frosting is a basic buttercream with a couple of drops of natural food coloring. I sprinkled a little desiccated coconut on top to make it pretty. Let’s talk about the adorable tea cup cupcake molds. Aren’t they the cutest?! When Alex moved back home after graduating from college she brought a lot of kitchen stuff home. Several of the boxes are still stored in our house because she now lives in a studio apartment and doesn’t have room for all of those gadgets. Lucky me! Every once in a while I go scavenge from them and find the cutest things, like these silicone cupcake molds. 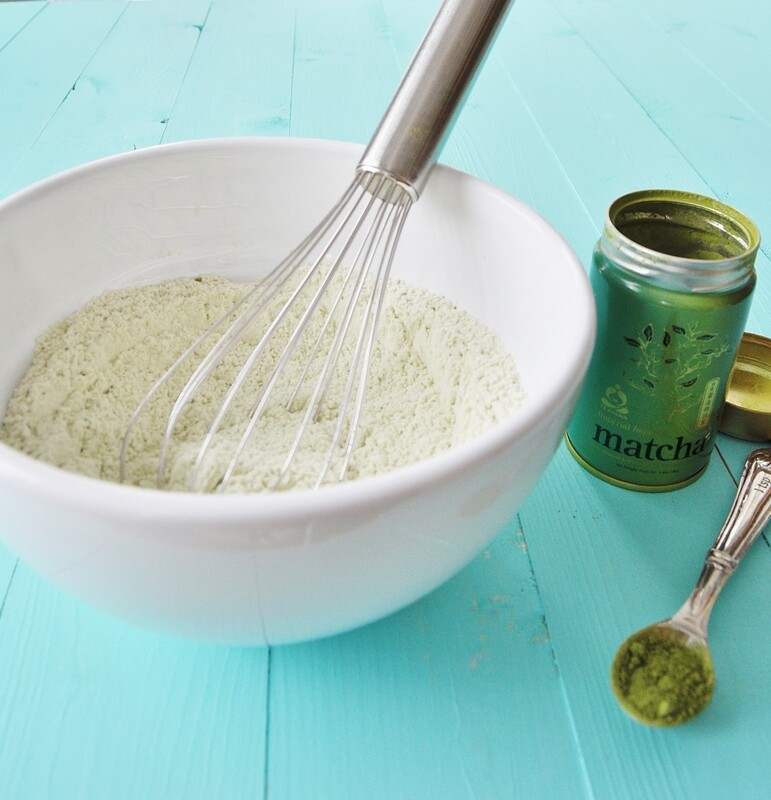 They couldn’t be any more perfect for making vegan matcha tea cupcakes, don’t you agree? Get your own tea cup molds, just click on the photo. Or go for the St. Patrick’s Day theme. 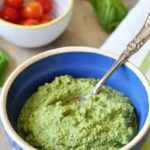 This is the natural food dye that I use. Matcha tea, it seems like it’s ridiculously expensive, but you only need a tiny bit to make a cup. It goes a long way. Take the power of matcha tea to another level with these matcha green tea cupcakes. 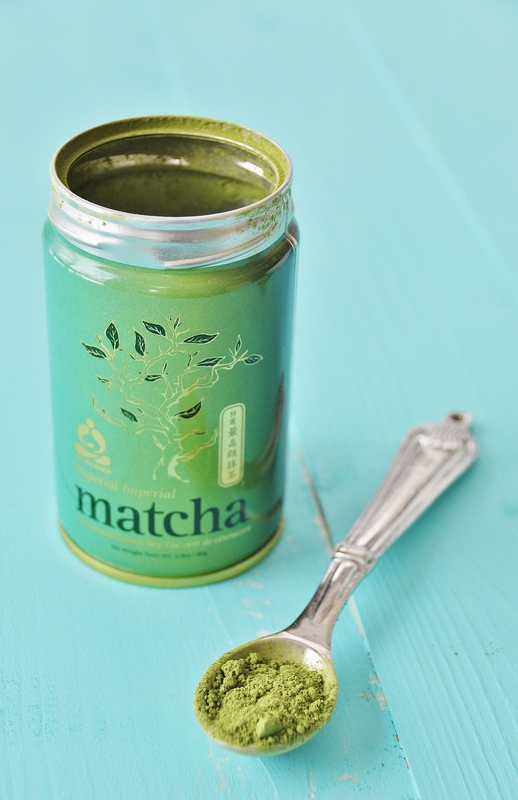 Matcha is loaded with antioxidants and other health benefits. 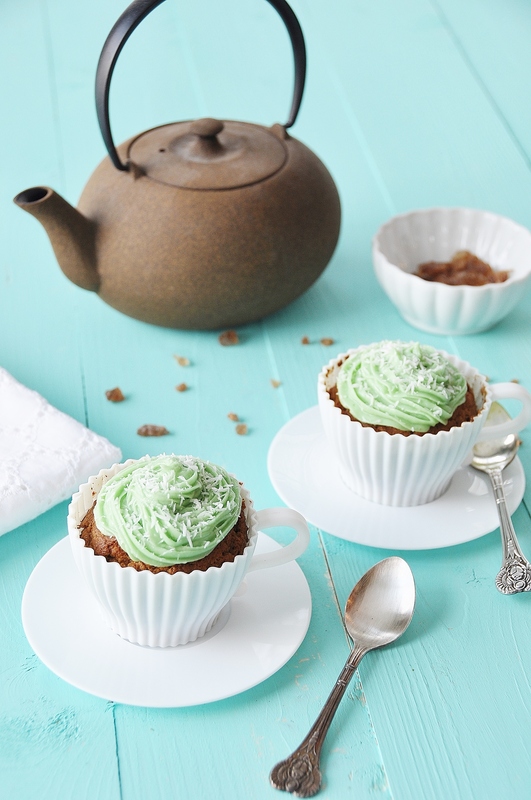 These are the perfect cupcakes to eat while you sip on a cup of tea. 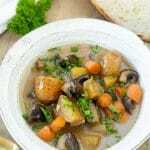 In a medium bowl whisk together the dry ingredients until they’re fully combined and set aside. 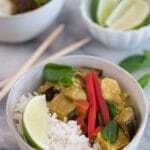 In a mixing bowl beat the coconut oil and sugar on a high setting until light and fluffy. Scrape the sides of the bowl as needed. Add the vanilla and the egg replacer to the coconut mixture and beat on a high setting for two minutes. Add one third of the flour mixture to the mixing bowl and mix on a slow setting. Add one third of the milk. Continue adding the flour mix and milk in thirds until all are just combined. Remove the bowl from the mixer and use a spatula to finish mixing. Don’t over beat. Spoon the cupcake batter into the muffin tin and bake for 10 minutes. Reduce the temperature to 350° and continue baking for 35 to 40 more minutes or until a toothpick comes out clean from the center. Place on a cooling rack and cool completely before frosting. Beat the butter, sugar, and vanilla together until light and fluffy. Add the milk and food coloring and mix until completely blended. Hi Katrina, thanks for your comment and I'm happy you enjoyed them. I started with a higher temperature to get them to rise with a nice high top and then lowered it so they would bake evenly all the way through. Every oven is calibrated differently, it sounds like yours is different from mine. You certainly made these your own, that's awesome!